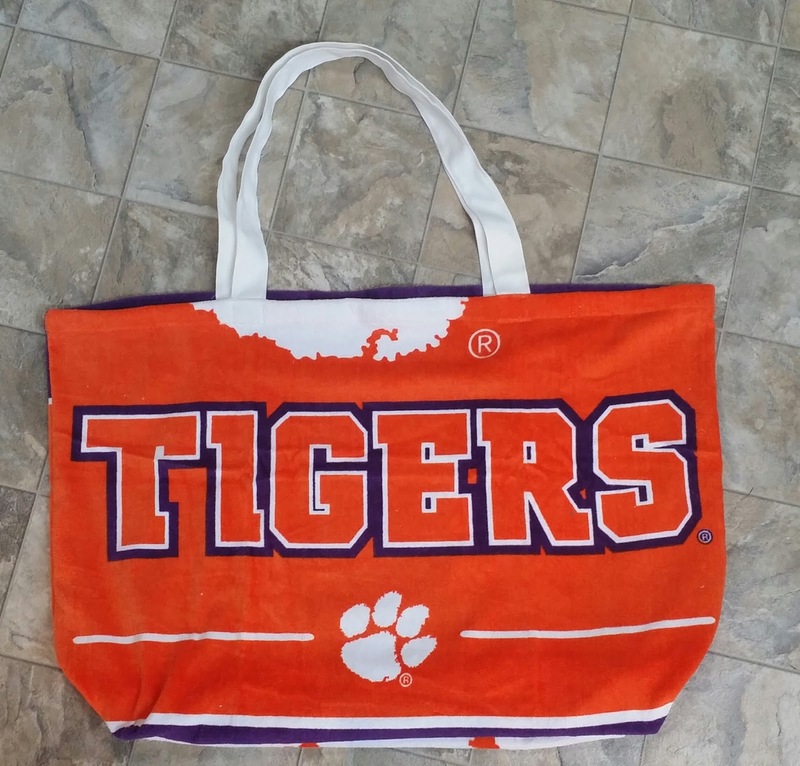 Sew recently I found several tutorials for a beach bag made from a towel...The idea is terrific! the towel is lightweight, you can wipe and dry your hands on it, and, after the beach...you can put the bag in the wash with the towels.. Brilliant! Sew.. 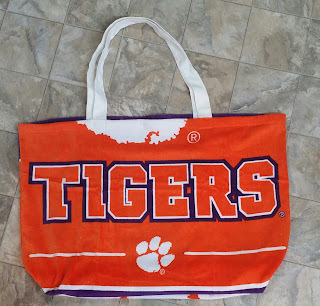 I bought a Clemson Tigers beach towel, and, at Assemble, using one of the amazing Bernina sergers, I had a bag in about 20 minutes...The handles are 1 1/2" wide cotton twill tape.. I used 2 layers sewn together to make them sturdier, and about 28 inches long. or as a private lesson with me at Assemble.